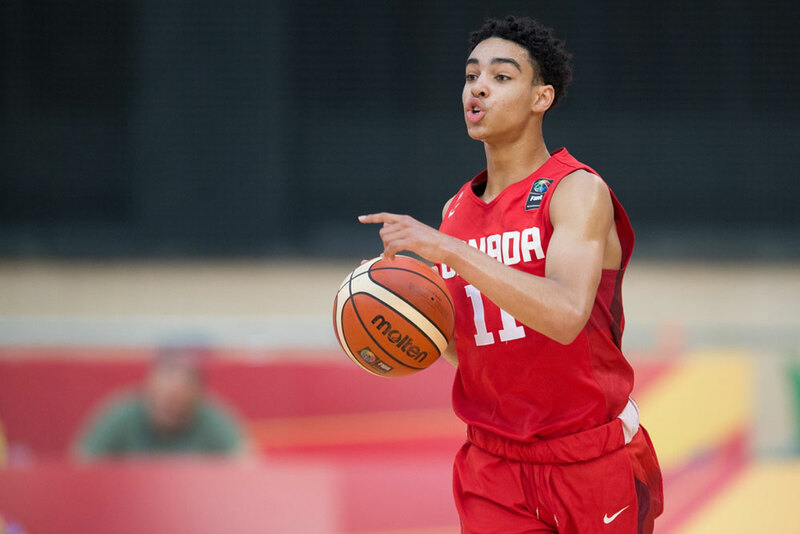 Andrew Nembhard caught a pass on the left wing at the Meridian Centre in St. Catharines, Ont., one day before the FIBA U18 Americas tournament was set to begin, and calmly drilled a three. His squad ran the play three times more, and he launched daggers from the same spot. The opposing squad took the ball and played until it missed a shot. Then Nembhard, a wily veteran at 18 and captain of Team Canada, took over again. He was, in the brief stretches open to media, exactly what a captain should be: assertive on offence, tenacious on defence, level-headed throughout. Nembhard is quiet but confident and well-spoken, a five-star recruit known as much for the strength of his character as for his impressive skill set. This is exactly the kind of role he ought to be in, guiding an elite team as it tries to qualify for the 2019 FIBA U19 World Cup. But there were no guarantees he would be here at all. A little more than a year ago, Nembhard, a star point guard at Montverde Academy near Orlando, fell ill and was rushed into surgery at a Florida hospital. He was reportedly dealing with volvulus, a twisting of the intestines that causes an intestinal obstruction. Doctors removed a portion of his intestines, and he went into septic shock. “Going through it, you don’t think you’re going to die,” said Nembhard in an interview with BasketballBuzz. “You just kind of go through it with a positive mindset. Other people around me—especially my father [Claude], was keeping a really positive mindset with me. Within a few months he was back with Montverde, helping fellow Canadian R.J. Barrett lift the team to a 35-0 record and a national U.S. high school championship. Now he’s here, Captain Canada, ready to take on the world. “I just feel blessed, and just grateful that I had such a great supporting cast around me when I was going through a tough time,” he said. 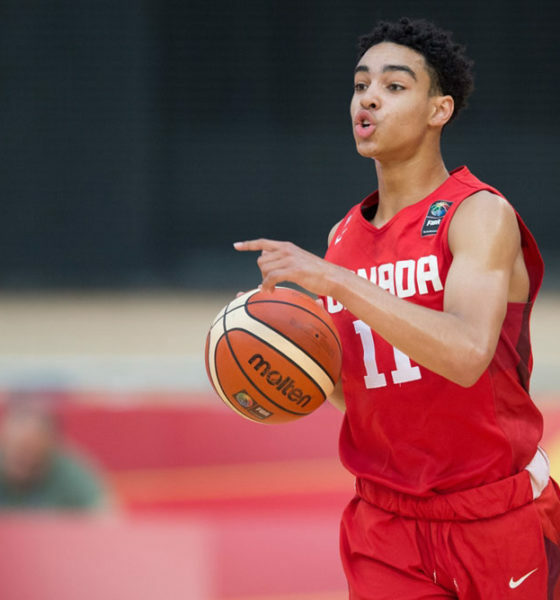 Nembhard is a key player on a Canadian team favoured to contend in and possibly win the U18 Americas tournament, likely with Team USA as its toughest competition. There are just four returnees from Canada’s 2017 World Cup team, which won a gold medal with Barrett, the continent’s top-rated high school player, leading the way. Barrett is preparing for his freshman season at Duke University, and absent from the 2018 Americas tourney. The only returning players are Emanuel Miller, Joel Brown, Tyrese Samuel and Jaden Bediako. A healthy Nembhard would likely have been part of the 2017 World Cup team, and he admitted he would have loved to play on it. But now he’s here, gunning for a championship, ready to lead. “Over the last couple of years I’m really trying to improve my leadership skills, both vocally and by example,” he said. “I’m more of a quiet guy, but I think over the years I’ve kind of come out of my shell a little more. 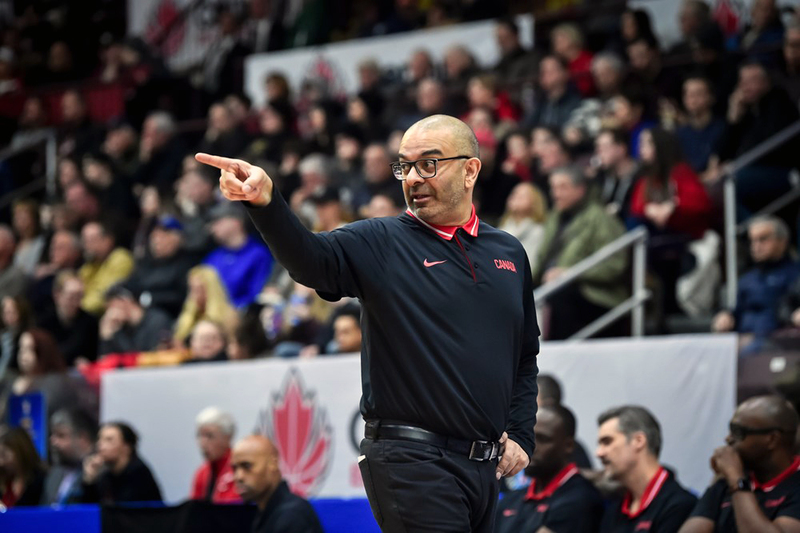 Michael Meeks, Canada Basketball’s manager of men’s youth player development and an assistant coach with the U18 team, has said the team has a target on its back, and Nembhard acknowledged that’s likely the case with Team USA. “I feel like it’s good pressure, though,” he said. “I feel like we’re all motivated to win another one. This fall, Nembhard will suit up for the Florida Gators, a team looking to replace senior point guard Chris Chiozza, the school’s all-time assists leader. There are no guarantees Nembhard, the No. 26 recruit in America according to ESPN, is Chiozza’s immediate successor. For now he’s here, ready to make his mark. “My goal is to try to win a starting spot on the team, play as much as possible, and just help my team in any way I can to win,” he said. “That’s defensively, offensively, being a leader, coming off the bench—whatever I need to do to kind of help us win as [many] games as possible, hopefully win the national championship. Duke is an early favourite to win the NCAA title, with an immensely talented roster that includes Barrett, Zion Williamson and Cam Reddish—the top three recruits in the class of 2019. Still, Nembhard likes his chances. Next season will be the first time in many years Nembhard does not play with Barrett, a close friend and potential No. 1 NBA Draft pick. “I think we both play really well together, but I think we both have more to show that—when we’re away from each other,” he said. “I feel like this is just a good opportunity for me to show more of my game, the scoring side of my game, especially—just to bring out more leadership in my game. What matters for now is that he’s here, competing for an international title on home soil. Here, doing what he was born to do. Here, pursuing greatness. Here, and stronger than ever. “I feel like I just attack everything in a more motivated way,” he said. Must Read: 22 Zip...Walton's Warriors Are Really Coming Out To Play!